So its that time of year again when the worlds die-hard Volkswagen fans get together for one of the biggest modified car events in the world. Yes, you guessed it, it's the Wörthersee tour 2018 in Southern Austria. 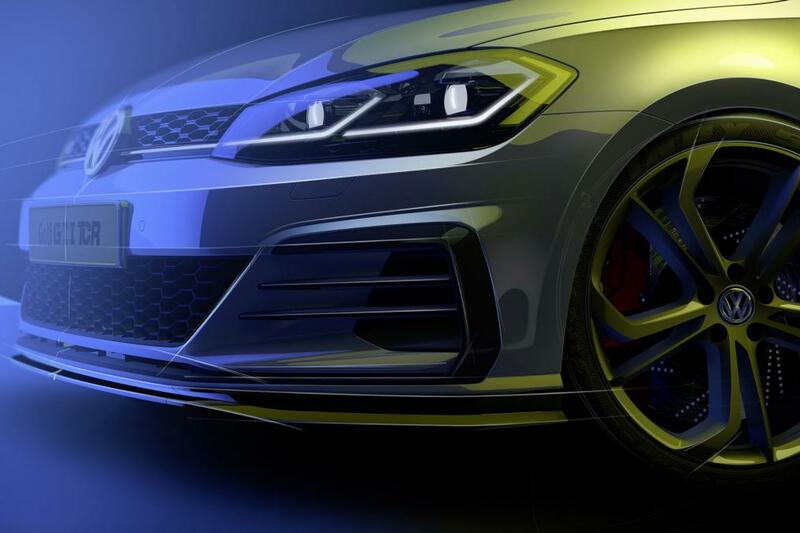 Volkswagen always has a small surprise in store for the worldwide fan base at this event and usually launches either a concept or a whole new exclusive special editions of one of their hottest hatchbacks. 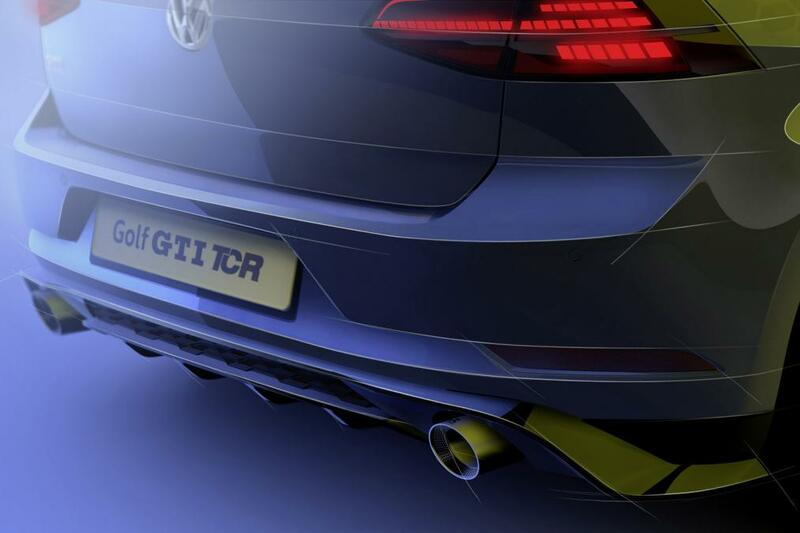 This time around its rumoured to be the launch of the all-new Volkswagen Golf GTI TCR. The Volkswagen festival in Austria will see the official unveiling of the Clubsport S replacement, which the Clubsport itself skyrocketed in popularity and impressed with its top-spec performance when it was launched a few years back. Volkswagen has announced the imminent arrival of the new Golf GTI TCR. The new model will become the most extreme GTI you can buy when it takes the place of the outgoing GTI Clubsport which is absolutely mental! The power of this new beast comes from an engine shared with both other GTI models and the Golf R. The TCR’s 2.0-litre turbo produces 286bhp and 370Nm – 49bhp up on the regular GTI – which is sent through the front wheels via a seven-speed dual clutch transmission and locking differential. Official acceleration times have yet to be revealed but the TCR should cover the 0-100km/h sprint in about six seconds. The offer to remove the 250km/h limiter gives a potential top speed of 264km/h. 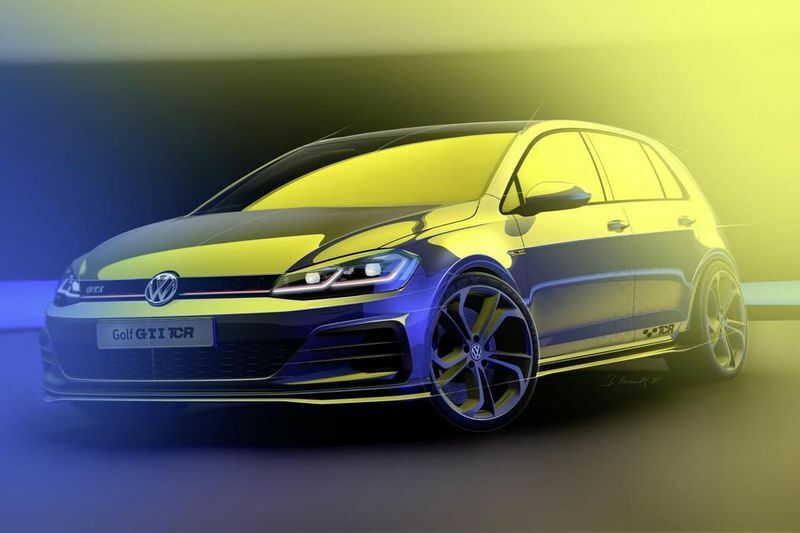 Official sketches show that styling changes over the regular GTI are likely to be subtle. A deeper front splitter and side skirts are complemented by a more aggressive rear diffuser, and unique TCR graphics feature too. The artwork also suggests that drilled brake discs will be housed behind a unique alloy wheel design. 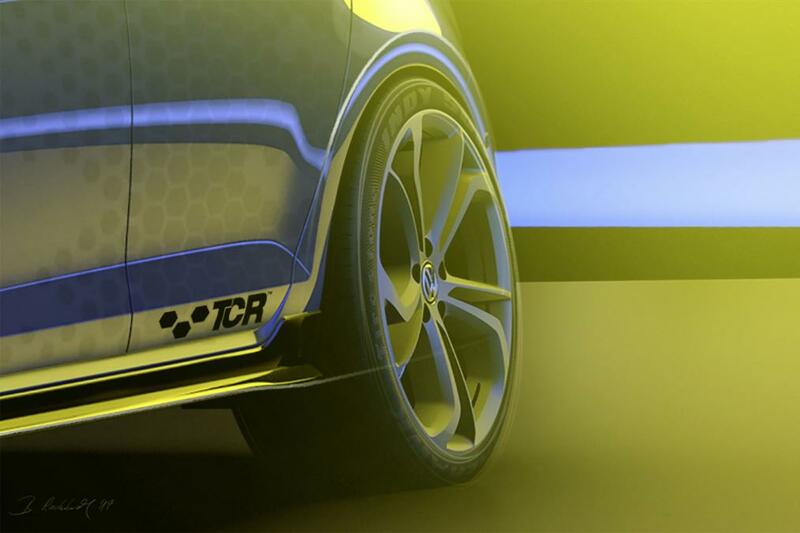 The GTI TCR is named after the International Touring Car series in which VW competes, securing the 2017 driver’s title in the hands of Jean-Karl Vernay last year. It’s due to make its public debut at the Wörthersee VW festival in Austria on May 9. So keep an eye out on our social media for pics of the unveiling! Let us know in the comments what your thoughts are on the brand new Volkswagen Golf GTI TCR.